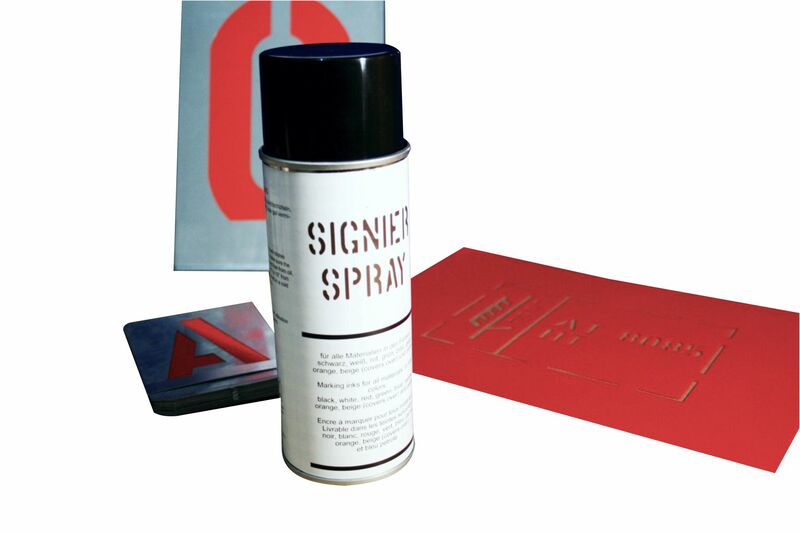 Our product range comprises various articles for stencil marking. Beside our metal or plastic stencils, we offer various accessories like fountain roller, fountain brush, stamping ink and spray. Our MARSH fountain roller is an important marking tool for stencil marking. Our fountain roller RFR-200 is very well suited for marking boxes, carton, cardboard, textiles, corrugated fibreboards, wooden palettes, jute bags, metal barrels, plastics and many other materials. The fountain roller is available in two different sizes with 38 mm and 76 mm width. Both fountain rollers are made of durable aluminium and brass for tough environments. The roller itself is of long wearing neoprene. 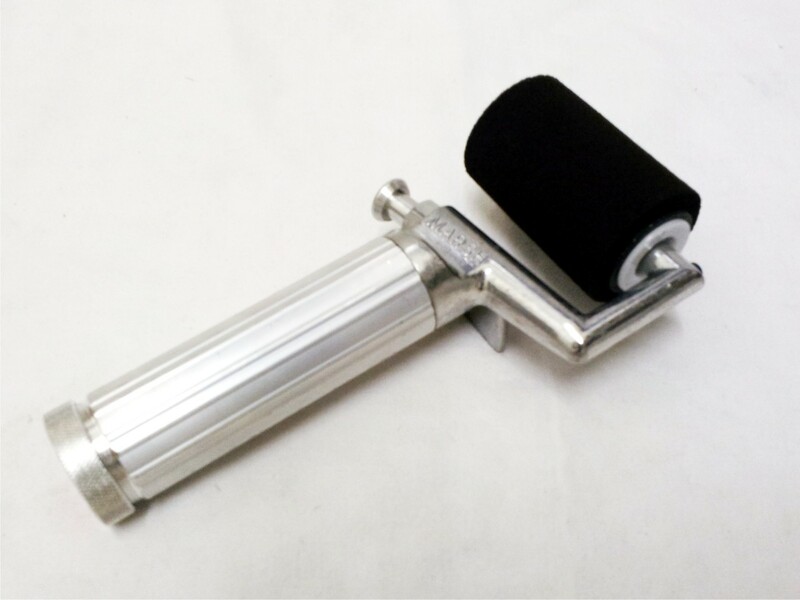 The rollers itself are replaceable for an enhanced durability. Our MARSH fountain rollers use pump action for last, uniform dispensing of ink without any ink fade-out or flooding. 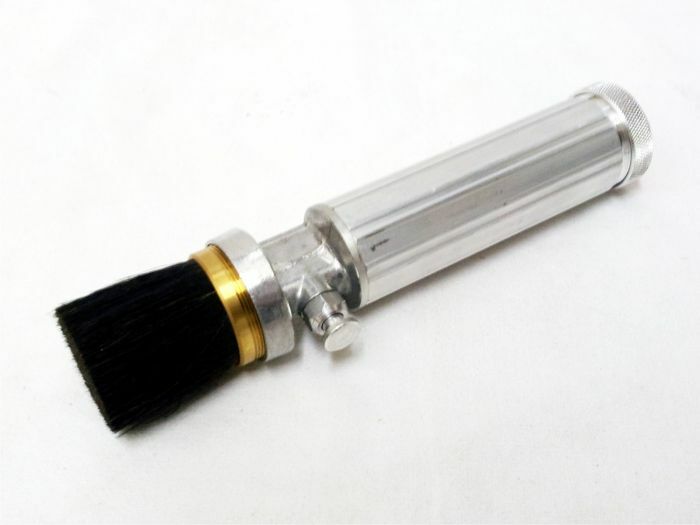 The ink itself is filled into the handle of the brush and can be refilled any time. For further information on our stamping inks, please visit our special site “Stamping inks” on this webpage. We recommend to unroll the surplus stamping ink in to roller for longer durability. The stamping ink can easily dry in the roller which leads to valve packing. Please use the plastic cap for storage. 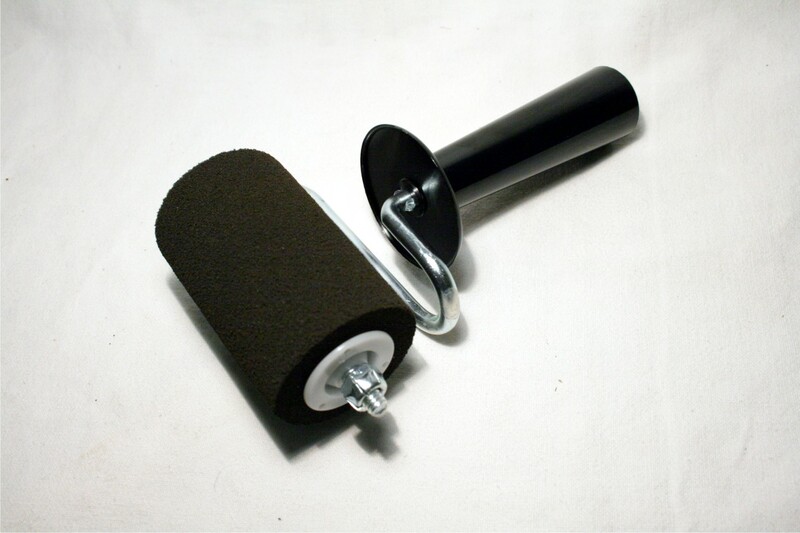 The pad roller MK2 is a simple and inexpensive variation of the fountain roller MARSH. In contrast to the marking roller above, this pad roller is not refillable and has no stamp ink tank. Therefore, this roller has to be dyed with stamping ink in an extra pad. This roller is less expensive than the model MARSH RFR, however, this tool is suitable for small-volume marking. Our MARSH fountain brush makes strong and clear marks on all types of surfaces using split bristles for solid coverage. This marking tool is designed for both porous and non-porous applications. It is also great for uneven surfaces, such as crates or concrete. The ink can be refilled at the end of the handle which extends the product life. This life span is even enhanced due to replaceable brush tips. For further information on our stamping inks, please visit our special site “Stamping inks” on this webpage. 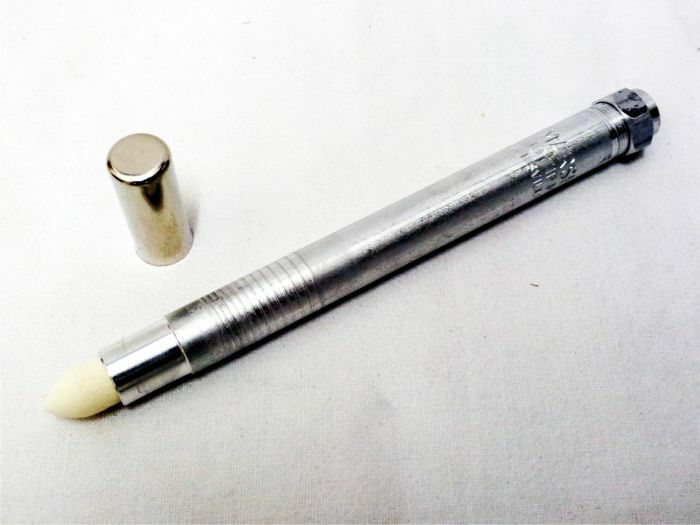 Our marking pen Marsh 99 is a refillable industrial quality valve action marker. It provides years of reliable service and is most suitable for shipping and sign marking. The stamping ink is filled directly into the handle. Replacement pent tips in three different styles are available. Our industrial spray is designed for all purpose and sprays adhesive and permanent bond on most materials. Our stencil sprays are available in 7 colours for permanent, waterproof, fast-drying, bold marks. Our spray inks are lead free, CFC and CFHC-free and environmentally safe. Our sprays are also available in white or tan to cover old marks and re-use cartons. This permanent and waterproof mark will provide maximum coverage with minimum spray-mist and running.